News: In theaters now: THE MULE, directed by and starring Clint Eastwood! 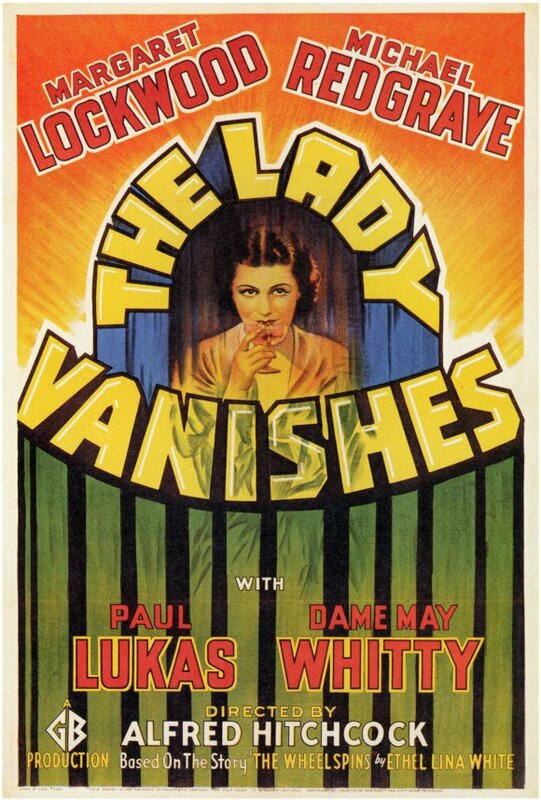 This is the discussion thread for The Lady Vanishes. Discuss anything you'd like about this film here! I really enjoy this film. It's more of a "why-have-they-done-it", than a "who-done-it", and again Hitchcock has us trying to solve the mystery right along with the characters. But this time, the film feels playful and light, and doesn't take itself too seriously. I hadn't seen Margaret Lockwood or Michael Redgrave in any other film, and they are really enjoyable in this together. (Looking at Redgrave's IMDb filmography, this was actually his first film!) Dame May Whitty I've enjoyed in bit parts in other films, and she's a delight in this. And, of course there's the comic scenes with the cricket loving Englishmen. I think watching films from this era, you get more joy out of smaller things like these little gems of scenes. Now we seem to need so much "more" to entertain us. This is definitely a jewel from the 1930's. I can't quite figure out how a lyric free melody can be code for a message unless someone has perfect pitch and knows exactly what notes were sung. But, if you don't ponder it too long, it's an interesting MacGuffin. Another observation: Ms. Froy high-tailed it through those woods when leaving the train, didn't she? Who knew the old dame had it in her! All on account of pulling a trigger. I saw this a couple of weeks back. I borrowed a copy from a friend. I didn't really enjoy it. It might have got me on a bad day or something because it really irritated me that everyone on the train kept denying seeing Ms Foy on the train. It was probably intended to come across that way but it detracted from my enjoyment of the film. That opening scene with the model train and village was neat. Probably looked a lot better in the 1930's than now though. This was made 2 years after Sabotage but to me it looked older. Maybe not a good transfer? "Winners are simply willing to do what losers won't." Edit: Sorry, I meant a rip off not a spin off. They actually did a remake of The Lady Vanishes for TV a few years back. It wasn't very memorable. Best thing about it was the name of the actress who played the heroine ... Tuppence Middleton. Page created in 0.03 seconds with 27 queries.